Following the Code of Conduct Tribunal’s (CCT) discharge of his no-case submission, the suspended Chief Justice of Nigeria (CJN), Walter Onnoghen, has indicated his resolve to challenge the tribunal’s ruling. He disclosed this in a notice of appeal on Friday shortly after the Tribunal ruling. 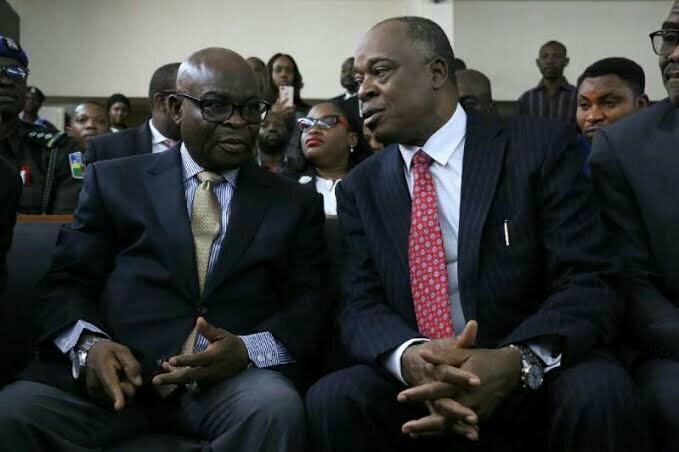 Justice Onnoghen spoke through his lawyers led by Adegboyega Awomolo, stating that the tribunal erred in law when it dismissed the submissions, despite the evidence brought by the defence team, suggesting the invalidity of the case. He had accused the Code of Conduct Bureau (CCB) of failing to comply with its guiding laws in preparing and treating the charge against him. Onnoghen who is facing trial for alleged failure to declare his assets between 2005 and 2015, stated that the bank documents mentioned in the charge sheet as a “strange document,” which is not part of the case before the tribunal. Awomolo described the bank statement as a strange document because it is addressed to the Economic and Financial Crimes Commission. He also argued that the fact that the CCB admitted that it did not verify Mr Onnoghen’s assets as required by the CCB’s rules invalidates the whole case. In a ruling, however, the tribunal agreed with submissions made by the prosecution that the faults pointed out in the charge by the defence amounted to internal communication. According to the tribunal chairman, Danladi Umar, the alleged faults cited by the defence were part of the bureau’s Standard Operational Procedure (SOP), which was internal. “The present board chaired by Isa Mohammed has not adopted the standard provisional provisions. In essence, the standard procedure of the Bureau is not used currently at the Bureau because it was authored by the former administration at their own interest. “The constitutional provisions are superior to the SOP which is internal. The tribunal is not bound by it, rather it is bound by the cause of justice,” Mr Umar said. Umar described the statement made by Mr Onnoghen as a confessional statement made to suggest an admission of guilt. According to Mr Umar, Mr Onnoghen’s lawyers ought to allow him to face the consequence of his admitted guilt, rather than struggle to defend their client. “This is a court that does not rely on technicalities but on the substance of the charge. The defendant made a written admission without duress that he forgot to declare his asset. “This confessional statement is more than enough for the defendant to enter his defence if he has any. The defendant’s admission statement is enough to call the defence to give his evidence. The defence counsel ought to perform its constitutional duties first,” Mr Umar said. “After dismissing the application, Mr Umar adjourned till Monday, April 1, despite repeated pleas by the defence to be allowed a minimum of seven days to study the ruling and advise its client.